Preheat oven to 400. Grease or spray one 8x8 baking pan. In a medium bowl, whisk together the poppy seeds, cornmeal, flour, baking powder, sugar and salt. Beat in the egg, milk and oil until well combined. Pour into pan and bake 25 minutes or until golden brown and a tooth pick inserted in the middle comes out clean. I don't know why I didn't think of making poppy seed cornbread before last night. The seeds add a bit of crunch and texture diversity without taking away from the simple pleasure of cornbread. Cook pasta as per package directions. Meanwhile, in a large saucepan, heat oil and butter. Add garlic and onion and cook until the onion is carmelized, about 10-15 minutes. Add the mushrooms and cook about 3 minutes or until slightly browned. 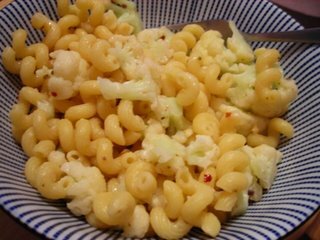 Toss with drained pasta, parsley, parmesan and bread crumbs. Serve. **Omit the butter and double the oil to make it vegan. It will taste just as good. This is a good recipe to have on hand for a night when you are all cooked out. The whole thing can be made while you're making the pasta and the taste is simple but delicious. The caramelized onions and mushrooms meld together wonderfully. In a small bowl, use a fork and thoroughly mix together the yolks, mayonnaise, mustard, capers, parsley, pepper, and a bit of smoked paprika. Spoon an equal amount into each of the egg halves. Sprinkle with additional smoked paprika and serve. I call these "Spanish Deviled Eggs" in the sort of way that adding green peppers to any casserole in the 1950s made it "Mexican". That is to say, the ingredients remind me of Spanish food, but I make no claims that deviled eggs have any connection to actual Spanish cuisine. They are very tasty and festive looking, I think a lot of people associate deviled eggs with picnics in the park but these wouldn't be out of place at a holiday party. Mash potatoes with sour cream, broth, and butter. Add more broth if the misture is too stiff or dry to spread. Add salt and pepper. Taste for seasoning and then mix in the egg. Grease a wide baking dish (we used a 10" oval dish), pour in the meat mixture and spread the potatoe mixture on top. Sprinkle some paprika on top and bake for 20 minutes or until the potatoes start to brown and the meat mixture boils. Cottege pie is a close cousin to shepard's pie which is made with lamb. We've made it a number of times in the past but this time it turned out the best: slightly high potato to meat ratio, lean, well seasoned meat, good mixture of vegetables. Cooking the vegetables after the meat has browned and was drained keeps it from being greasy or seperating when it cooks. Preheat oven to 350. Line 4 cookie sheets with parchment paper. In a large bowl, beat together the butter and sugar. Slowly stream in the syrup and then the applesauce. Mix until well combined and fluffy. In a small bowl, whisk together the cinnamon, cayenne, pepper, salt, baking powder, baking soda, cocoa and flour. Slowly add to the fluffy batter and beat until well combined. Drop tablespoonful amounts on to the cookie sheet, spacing you have about 6 cookies per sheet. Bake 12 minutes. They should look "set" but slightly shiny. Remove to wire racks and cool. Yield: about 2 1/2 dozen. *You can find this near pancake syrup or in a British foods section. 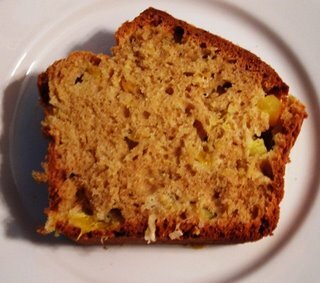 I have in the past used applesauce in place of oil in quick breads when I was trying to cut the fat content. 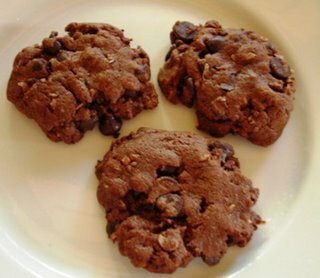 I had never thought of using it in cookies until I saw a recipe in low fat cookbook that called for molasses and applesauce instead of eggs in a recipe for a 60 calorie cookie. I was intrigued but I don't really care for molasses so I returned the book to the library and put it out of my head. 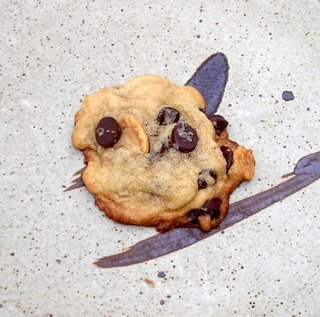 Anyway, for some reason I was thinking of it today and came up with this cookie. I used golden syrup instead of molasses and just a tiny bit of melted butter. 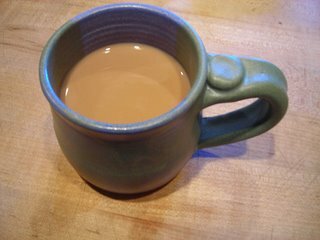 The flavor really is that of a cup of spicy Mexican hot chocolate and since there are no eggs you can taste the batter and adjust the spices without worrying about food poisoning. Bring a large pot of water to boil. 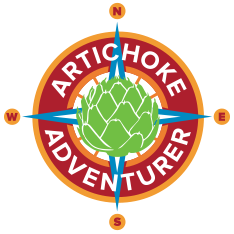 Meanwhile, remove most of the stem and carefully clean the artichoke, removing all dirt or grit. Place in a steamer and steam for about 20 minutes or until or until petal near the center pulls out easily. Meanwhile, combine melted butter and lemon juice to taste. To eat: dip each petal into the lemon-butter. Hold it between your teeth and drag to the remove the soft, pulpy bit at the base. Continue until you reach the middle, then scrape out the fuzzy bits (the choke) and eat the soft heart beneath. It amazes me how any one discovered that the artichoke was edible even to the smallest degree. Who thought: if only I steamed this prickly thing and only ate the bottoms of the leaves, it would be a taste sensation? Tasty, but a lot of work! Preheat oven to 350. Grease and flour or spray with cooking spray with flour one 8 inch square baking pan. 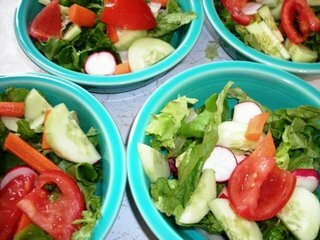 In a large bowl, combine all ingredients and mix throughly, about 2-3 minutes. The batter will be rather thick. Scrape batter in pan. Bake 40-50 minutes or until toothpick inserted into the middle of the pan comes out almost clean. The blondie will set up as it cools. Cool in pan on wire rack 10 minutes then remove from pan to continue to cool. Serve at room temperature or slightly above. Last night I had a sudden craving for something chewy. All I had was dark brown sugar (instead of the usual light brown) but they came out fine, a little darker but just as chewy. 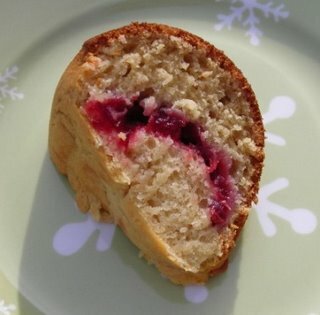 The cranberries add a tart note that breaks up the sweetness of the blondie. I also put some chocolate chips in because I couldn't resist but make no mistake, this is a true blondie: chewy and caramel flavored. Heat the oil in the frying pan on a medium high heat. Mix eggplant, onion, garlic, matzo meal, corn starch, egg, paprika, salt and pepper in a bowl and let stand for 10-15 minutes while the oil gets hot (test by placing a small portion of the batter in the oil - it should sizzle). Scoop 1/2 cup of the batter, shape into patties, and fry for 2-3 minutes on each side until it is golden brown. Drain on paper towel lined plates. Serve hot with sour cream or applesauce. *Matzo meal is made from ground matzo, a flat, unleavened bread. You could substitute bread or cracker crumbs. Last night was the 4th day of Hanukkah and to celebrate, we made these latkes. It is traditional to make fried foods at Hanukkah to commemorate the miracle of the oil: basically, oil was needed to light the menorah at the temple, there was only enough oil to burn for one day, yet miraculously, it burned for eight days. 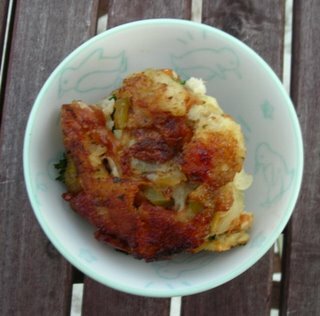 Latkes are generally made with potato and are sometimes referred to as potato pancakes but this year we wanted to try something slightly nontraditional. 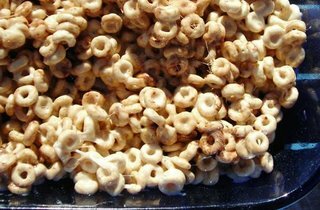 I loved them, good flavor, easy to make. Preheat oven to 350. Grease and flour or spray an 8x8 inch baking dish. In a large bowl, beat together applesauce, oil, sugar and vanilla. Stir in flour, baking soda, baking powder and cocoa. Beat until well mixed then fold in coconut. Pour into prepared pan. Bake 25 minutes or until a toothpick inserted into the middle of pan comes out clean. My sister-in-law is spending the weekend with us before she heads back to India. She isn't technically vegan (she'll eat honey and cheese if it is rennet free) but she doesn't eat eggs. We have a friend who is vegan so we invited them over to meet my sister-in-law and to share these delicious vegan brownies. I had never made vegan brownies before, but they were good: slightly chewy and with a good chocolate favor. Saute onion, garlic, chili peppers, tomato, and tortilla strips in the oil and butter for 10-15 minutes until vegetables are soft. Whisk eggs with sour cream, green onions, and salsa. 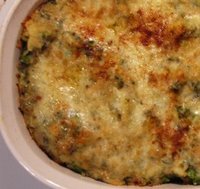 Stir cheese into egg mixture and scramble together with the vegetable / tortilla mixture until the eggs are to the desired consistency. 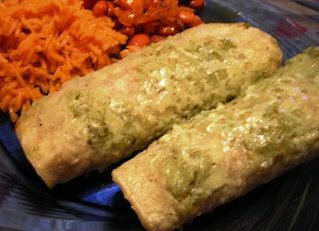 Serve with the warm corn tortillas. I sort of think of this as the Mexican version of matzo brei, except spicy. We had it for breakfast and it is just as easy to make as scrambled eggs but a little more fun. Turn slow cooker to low. Add boiling water and dissolve honey in the water. Add cinnamon, cloves, cardamom, nutmeg, lemon, tangerines, and apple. Add wine and brandy and stir. Keep slow cooker uncovered and allow wine to get hot but do not let it boil. If it gets too hot, turn off the slow cooker: it should still say fairly warm and you can turn it on again as needed. This shouldn't happen, but if it is a long party it might. Serve hot. In a large pot, boil water. Dissolve the honey in the water. Add cinnamon, cloves, cardamom, nutmeg, lemon, tangerines, and apple. Add wine and brandy and stir. Keep on a low flame uncovered and allow wine to get hot but do not let it boil. Serve hot. *I'd go for something inexpensive but tasty. I had never had mulled wine until Thursday but I have decided I like it. It's like warm, spicy sangria and is a great way to stretch a bottle of wine for a party. We set it up in the slow cooker and it kept it warm all night, bur you could do the same in a large pot with a low flame. Preheat oven to 350. Line or grease and flour 48 wells of a mini cupcake pan. In a large bowl, cream the butter, sugar and vanilla. Add the eggs, beat well. Mix in the chocolates, mix throughly. Add the warm water and sour cream, stir then beat in baking soda, baking powder and flour. Mix throughly and fill each well 3/4 way. Bake 20 minutes, remove to a wire rack. Cool and ice. This recipes makes a surprisingly light and fluffy cupcake that is a good foil for peppermint cream cheese frosting. I like to make tiny cupcakes for get togethers because they are easy to eat and if there are other sweets or people are watching their weight, they aren't too much. In a large bowl, beat together all ingredients until well blended. Frost on cooled cupcakes or cake. Preheat oven to 400. In a medium bowl, combine all ingredients thoroughly. Scrape into a small (about 12 oz) casserole dish. Bake for 15-17 minutes or until slightly browned and just starting bubble around the edges. Taking a small break from candy making and sweets (very small: I have cupcakes in the oven) to make this yummy spinach dip. I am hosting a holiday craft night tonight and plan in serving this with celery, carrots and if I get a chance, homemade tortilla chips but it would be great with crackers or bread as well. I had a little taste and it's really good, very fresh tasting. 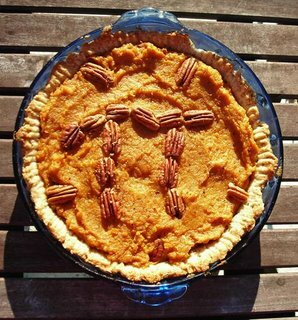 It's also very easy and can be made ahead of time and then heated up in the oven, which makes it perfect for entertaining. Quick update: on a whim I smeared some (cold)leftovers on a hot baked potato and it is mind blowingly good. Possibly better than it is used as a dip. YUM! Warning: the first half of the recipe needs to be completed the day before you want to eat the candy. Grease a loaf pan. Stir together pectin, water and baking soda in small pan. Cook on high heat. At the same time, bring the sugar and corn syrup to a rolling boil, stirring occasionally. When it reaches boiling, add the pectin mixture. Cook for about 1 additional minute stirring constantly. Remove from heat and add extract and food coloring, stirring to incorporate. Pour into the prepared pan and allow to cool, loosely covered, overnight on the counter. The next day invert the pan on to a platter or plate full of sugar. If you have trouble unmolding the candy, use a sharp knife to loosen it from the perimeter of the pan and carefully slide your fingers underneath the candy to gently peel the candy out of the pan. Press both sides of the candy into the sugar. Slice the candy into 1/4 inch slices, then cut each slice into 1/4 inch cubes. Roll each cube in sugar. Allow to sit an additional hour before packaging or serving. I packaged some of mine in candy bags to give as gifts and the rest is stored in Tupperware. I saw raspberry extract in the store for the first time this week. I went home wondering what I could make with it when suddenly it hit me. I could make fruit candy! I went back to the store and bought the extract and a box of fruit pectin. I figured that jelly candy was really just very solid jelly with no fruit chunks in it, so I proofed the pectin, stirred it into a sugar syrup and voila! Jelly candy! I was a little amazed it worked but it did. Best of all, it doesn't require the use of a candy thermometer or any technical know-how. I made it in under 10 minutes and it is prettier and tastier than any store bought jelly candy could hope to be. Update: Thanks for all the comments! Several people have already written to me saying they have made this recipe and loved it. I love to hear success stories. 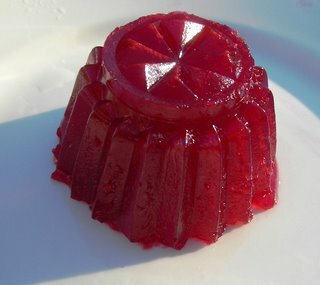 To answer a question I was email a few times: fruit pectin is used in making jams and jellies. In the warmer months it is often stored near canning supplies. Since it is winter, my store moved it to the baking isle, near the sugar, on a very high shelf. If you can't find it, ask for it. They might have it in back since it is no longer prime canning season. Carefully peel the skin off of the tangerines. I found it was easiest to quarter them, then peel. Carefully use a knife to scrape off any white pith. Cut the peel into thin strips. In a saucepan, heat the water and sugar until just boiling, stirring occasionally to dissolve the sugar. Add the tangerine peel and cook over medium heat until the peel is soft* about 15 minutes. Please not that while the syrup might thicken, it should not turn brown and caramelized. Drain the peels and toss with sugar**. Allow to cool and drain on a wire rack or on paper towels for 2 hours. *Fish one out using chopsticks or tongs to test. ** Variation: dip into melted semisweet chocolate instead. Thanks to a "buy one get one free" sale, we have bought about 12 lbs of tangerines in in the past week and a half. We've eaten our way through one bag and have approximately 9 more pounds of tangerines to go. The situation isn't as dire as it seems, the tangerines are exceptionally tasty (which is why after buying one 3 lb bag and getting another free, we went back and got two more) and they keep well in the fridge. That said, I have been trying to come up with recipes that feature tangerines. I thought candied tangerine peel seemed like a good bet. I took the chance that tangerine peel wouldn't need the multiple blanchings of orange or grapefruit or even lemon to remove the bitterness and pith and I was right. Tangerines have so little pith their skin isn't really bitter at all. I barely had to scrape any off, and one tangerine had so little pith you could almost see through it without scraping at all. Boiling them in the sugar syrup and tossing them in sugar was enough to sweeten them up and made for a very quick, satisfying and extremely tasty experiment. These would be cute to give as gifts or as a garnish on top of a dessert. In a large bowl, beat together cream cheese, peppermint extract and sugar. Beat until well combined. Using your fingers, roll the chocolate/cream cheese mixture to the size of a large marble or superball. Sprinkle about 1/3 cup of confectioner's sugar and the crushed mints on a plate and gently roll the candy to coat. 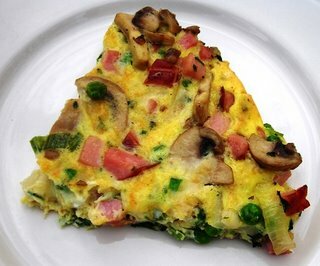 Place on a clean plate and refrigerate about 1 hour before serving. *The kind you get in a brick, not "spreadable" or "whipped"
**Read the label careful when you go to buy peppermint extract. Extract labeled simply "mint" is often spearmint. I had a bit of an ulterior motive in making these easy truffles: I wanted to see how peppermint and cream cheese taste together. I am planning on making some peppermint icing in the near future and want to make an informed decision. The verdict: peppermint and cream cheese go together remarkably well. The sharpness of both keep these truffles from being overly sweet. I am still uncertain about my icing, but these are a delight! In a large bowl, sprinkle gelatin over 1/2 cup cold water. Allow to seep for 10 minutes. In a medium saucepan, combine sugar, corn syrup, and 1/4 cup water. Bring to a vigorous boil and boil for 1 minute. Pour boiling syrup into gelatin and mix at high speed for 1 minute. Add the salt and beat for 11 minutes. Add vanilla and beat for 1 minute. Oil your hands and a spatula and scrape into a 9 x 13 inch pan sprayed with oil and spread evenly. After pouring marshmallow mixture into the pan, smooth it with the back of your oiled spatula. Allow to rest 3 hours. Invert the pan into plate full of cocoa and confectioners’ sugar (in equal portions) and dredge the marshmallow through. Remove and cut into pieces with kitchen sheers, a knife or use a small cookie cutter to cut them into shapes. Dredge each piece of marshmallow in confectioners' sugar/cocoa so all four sides are coated in the sugar/cocoa mixture*. Store in an air tight container. *you could also toss the cut marshmallows in a Ziploc bag full of cocoa and confectioners' sugar to coat. There seems to have been a spate of marshmallow making around the world. Seeing these pretty creations inspired me to revisit the easy recipe (no egg whites! no candy thermometers!) for peppermint marshmallows I created last year. I made a few modifications and made a batch of vanilla marshmallows dredged in cocoa and sugar. They have a smooth vanilla flavor and a hint of chocolate in each bite. I still think making marshmallows is as close to magic as you can get in the kitchen: one minute you have a bowl of molten sugar then suddenly it is fluffy marshmallow. Amazing! To prepare the cabbage - Core the cabbage by placing the head of cabbage stem side up on a table, inserting a knife 4 or 5 times around the stem angling in towards the stem, and then slamming the cabbage stem side down on a table to loosen the core. Pull to remove. Carefully remove the leaves of the cabbage by pulling on the thick ends and peeling down. 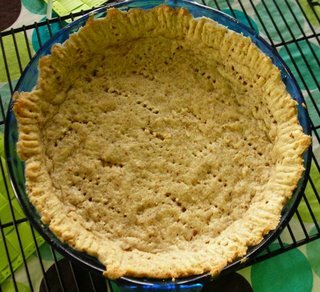 Remove and set aside all leaves that look big enough to fold around 1/3 cup of filling. Steam the leaves to be stuffed for 7 minutes until pliable. Then chop the remaining small leaves to add to sauce. Suggestion: you can do this while you cook the rice for the next step. For the filling - Cook 1 cup of rice in 1 3/4 cup water, bringing to boil first then cooking on low for 20 minutes. When finished, remove from heat and toss in the minced onion and shallot to wilt. Let cool. 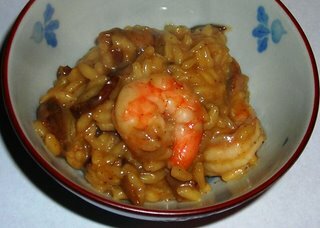 (Timing tip: while the rice cools you may want to get started on the sauce and then come back to this step when the sauce is cooking) In a large bowl, combine ground beef, salt, pepper, paprika, garlic powder, egg, and rice/onion mixture. In a small frying pan, saute 1 T of this mixture and taste for seasoning. Add more spices if necessary. For the sauce - Saute the sliced onion in butter and olive oil. Add chopped cabbage and some salt and pepper. Toss and cook covered for 10 minutes until soft. Add tomatoes, cover, and cook for 20 minutes. At this point, go back and finish the filling if you haven't already. 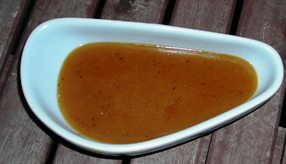 Assembly: Ladle some sauce at the bottom of a large baking pan. You might end up needed a second pan, depending on how large your leaves are and how closely you pack them together, so be prepared. 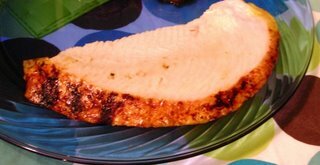 Place a steamed cabbage leaf in the pan, scoop 1/3 cup of filling onto the middle and spread it out into a log shape. Fold one side over the stuffing, then the bottom up, and then the other side over sort of like you are folding a burrito. Fold the cabbage, rolling towards the fat part of the leaf until it forms a rectangular package. Place on the pan folded side down. Fill the pan with stuffed cabbage and then pour sauce over them. Cover and bake for an hour. The ingredients list is long, and the steps are many but it really isn't as difficult as you might think to make a tray of delicious stuffed cabbage rolls. They are so tasty and freeze wonderfully for future meals. My aunt would always make a bunch and freeze them for future meals and to give to lucky friends and relatives, but these are so good, we are keeping them all for ourselves. Preheat oven to 375. While you are cooking the pasta, heat the oil in a skillet. When it is hot, add the broccoli, garlic and onion and saute until the onion is translucent and the broccoli is bright and hot. In a small bowl or measuring cup, toss the cheddar, mustard and paprika. Toss the broccoli mixture with the drained pasta. 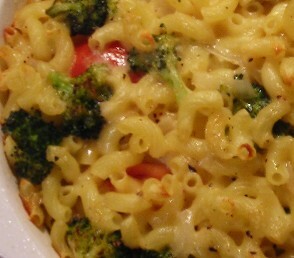 In a large casserole, alternate layering the cheese and pasta, starting and ending with pasta. Arrange the tomatoes between layers. When finished, pour the milk over the pasta, cover and bake for 25 minutes. Remove cover and bake for an additional 20 minutes or until bubbly and hot. Serve. When the weather is cold and blustery, nothing tastes better than bubbling hot macaroni and cheese. 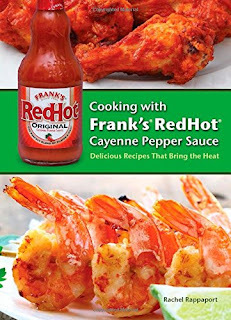 With this version I upped the nutritional count and the flavor by adding broccoli and some hot house tomatoes to make a completely one dish meal. In a large skillet, brown the meat. Then add onion and cook 5-10 minutes or until onion is soft. Drain the grease from the pan and add all of the spices, and canned tomatoes. Bring to boil and cook on medium-high heat 20-30 minutes until most of the liquid has evaporated and meat mixture is quite thick. 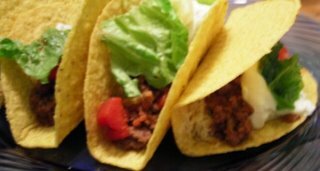 Serve on hard or soft taco shells. Top with desired extras. ** or sub lime or orange juice, we just had tangerines on hand. To be honest, the few times a year we make tacos, we generally rely on those little packets of "hot" taco seasoning and doctor them up. This time we were out and had to improvise. This tastes better and is almost as easy-you should already have most of the spices in your cabinet and it only takes a minute to shake them in. You could even make an extra batch of the spice mix to keep on hand for the next time the taco mood strikes you. Sugar & Spice Cookie Winner! Last week I got an exciting phone call: I was one of the winners of the Baltimore Sun's annual cookie recipe contest! They interviewed me and today the article is out. You can read it online here. The theme was sugar and spice, and I won in the "sugar" category for my Tangerine Dream Cookies which they described as "are soft, chewy, fragrant and delightfully different". 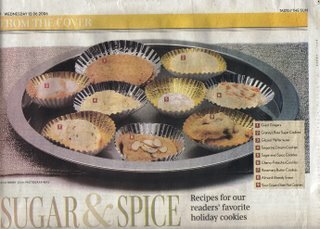 It is pretty exciting because, well, the Baltimore Sun is pretty much the only paper in the whole state of Maryland and the cookie contest is an annual event with a three page spread of the recipes, pictures and the article. I know several people who make a point of making whatever cookies are the winners that year. It was also fun to think of one of my original recipes being recreated in a test kitchen and being analyzed for its nutritional content. They also mentioned this blog, so if anyone is here because of that, welcome! I have lots of other recipes for you to try! Preheat oven to 325. Grease or spray 2 cookie sheets. In a large bowl cream together the butter and both sugars. Add the egg and vanilla and beat well. Slowly add in the melted chocolate. In a small bowl, whisk together the flour, baking powder, cocoa, salt and coconut. Slowly beat into the chocolate butter mixture. Mix until well combined then fold in chocolate chips. Drop in 1 tablespoon amounts 1 inch apart on the cookie sheets. Slightly flatten each cookie with the back of a spoon. Bake 13 minutes or until no longer shiny. Allow to cool about 3 minutes in the pan then remove to a wire rack. Incredible warm or at room temperature. Should yield about 20 cookies. These are seriously chocolate cookies. I have never had a cookie (or just about any baked good really) that tasted as chocolate-y as these cookies do. The combination of the unsweetened cocoa and the melted unsweetened chocolate resulted in an extremely rich chocolate dough. The chips and the coconut just add to the decadence. Recently the editor of Four Weeks Magazine contacted me and asked if I'd be interested in contributing an original recipe for hot chocolate for this month's issue. Of course I was! Who doesn't love hot chocolate? 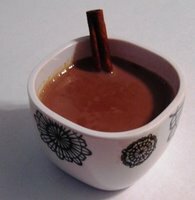 I took it as a an opportunity to try something new and created a yummy recipe for chai hot chocolate. 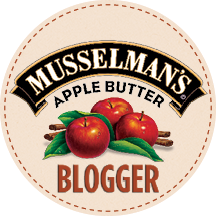 Check it here, along with 3 other delicious sounding recipes from other food bloggers. Place all ingredients in a small bowl and whisk together until all ingredients are thoroughly distributed. Serve. *Preparing your own hoseradish is an arduous task involving vinegar, ice water and a well-ventilated room. Save yourself the hassle and buy a bottle of prepared, minced horseradish. I think horseradish one of those foods you either love or hate. Hotter than wasabi, it is quite pungent. 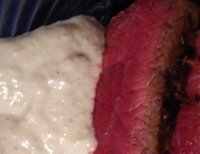 This recipes makes a wonderful dipping sauce for steak (as pictured) and can also be used as a zippy spread for sandwiches. Make it and you will be wondering why you haven't been eating all along. Preheat oven to 350. Grease and flour or spray with baking spray one loaf pan. In a small bowl, toss the mango in the lime juice, set aside. Whisk together coconut, flour, baking soda, baking powder, nutmeg, allspice and salt. Set aside. Beat together eggs, oil, brown sugar, ginger and zest. Slowly add the dry ingredients and mix thoroughly. Gently fold in the mango. Pour into prepare pan and bake 1 hour*. Lower the temperature to 325 and bake an additional 30 minutes or until a knife inserted in the middle comes out just about clean. Allow to cool for 5 minutes then remove from pan and continue to cool on a wire rack. *The bread will puff up a lot, but don't be alarmed. It shouldn't overflow, it is a rather thick batter. I really enjoy tropical flavors during the cold months, it seems to help keep winter chills at bay. While I had never made (or even eaten) a mango bread before it seemed logical. I love mangos and always think I should bake with them more often. This bread reaffirmed that, it turned out really moist and flavorful. There is also just enough coconut to add some flavor and texture interest, not enough to make it chewy like a macaroon. The ginger and lime are classic combination and really bring out the mango's lush flavor. Delicious and little unexpected.